WASHINGTON – InsideEPA is reporting that Senator James Inhofe is circulating a draft bill that would weaken the consumer benefits of the federal fuel economy standards. Billed as an effort to harmonize the different federal standards, the draft legislation would in fact help meet a key automotive industry goal of getting “extra” credit for vehicles sold years ago. These credits would reduce incentives for future innovation in fuel economy technology and ultimately burden consumers with higher fuel costs and harmful emissions. The bill offers automakers retroactive credit for improvements already made in earlier model years. 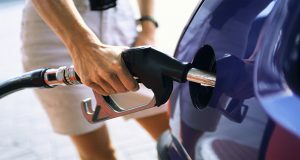 The excess credits would dampen future improvements to automotive efficiency, forcing consumers to pay more at the pump. The bill would also allow manufacturers to transfer credits from cars to trucks, reducing the need to deploy technologies in trucks and SUVs that have the most room for improvement and have been improving the fastest. This draft bill is emerging as the White House has signaled its intentions to delay fuel efficiency targets set for 2022-2025 and recently proposed a massive cut to EPA’s auto emissions testing lab that has uncovered misleading fuel efficiency labeling by a number of automakers in recent years. Combined, these efforts are a significant shift in favor of industry demands and puts consumers at risk of increased fuel costs and exposure to harmful emissions.